What is the ultimate secret to health? It is keeping the INSIDE of your body clean. I have counseled many people over the years and they are just stuck at a weight loss plateau. They have tried every diet out there, except the one where they actually start from the ground up. What am I talking about? I am talking about eliminating things first, then only adding in what you need for your body!! If you suffer from autoimmune diseases like I do, you know this is necessary to start over. Once we have removed the bad we can begin to replace with the good. We are exposed to toxins every single day. The food that we eat, the beverages we drink, the old fillings in our mouth, the electromagnetic radiation around us, you name it, we are near it. Don’t forget the black mold around you as well, but the list really goes on and on. I honestly could go on and on as this has been the better part of my research for the last 5 years. So what does this mean for us? Our liver works overtime trying to keep up with our body by detoxifying and cleaning what we put in. I can’t stress enough to my clients how important it is to really think about your internal health…because guess what? Your doctor probably isn’t going to say anything to you. I know that in all my years, even checking my liver enzymes due to my hereditary hemochromatosis, which is iron overload disease, no one in 18 years has ever asked me what I am putting into my body. Period. I started thinking that was very strange. 1. Weight Loss. Yes, this is the one everyone notices immediately. What is going on in my body? WOW!! Did I really just lose that much after 2 days of a cleanse? How? The liver produces bile which is used by the digestive system in the breakdown of fat. Some of my clients are reporting anywhere from 5-9 pounds within the first week. This is not why I am telling you to do this though, but yes!! You literally have that much gunk built up that you are not processing things. 2. Did you know that you can eliminate liver stones? These stone don’t need to be there. They develop from a build-up of excess cholesterol. They impair the liver’s ability to deliver nutrients back into the body. What if you already aren’t processing things correctly like me? I am going to be holding onto more salt and water than is necessary. Yup. Time to clean them out! 3. Phase1 and phase 2 detoxification can begin. The liver will then be able to function better changing these toxins into harmless agents. They will then be able to be eliminated properly. 4. Increase your energy!! Normal liver function had been impeded by the build-up of toxins so naturally removing them can help your energy level by as much as 25-50%. We need to get to the root cause as I always tell my clients. Now that the nutrients are being released back into your bloodstream, you will feel much better. 5. Restore your health back to feeling 5 years younger. If your skin feels lack luster, think about what’s going on inside you? Take your before photo. Take your after 2 days later, then 5 days later. I bet you will really notice a difference in the way your body and skin feels. Your clothes will probably fit better! So what can I do now that I know all this? We have developed a system specifically to start you back at “reset”. We called it the Wrap, Remove, Reboot and the results have been astonishing!! Step 1. Wrap. You use our ultimate body applicator. The powerful, botanically based cream formula of the Ultimate Body Applicator™ gives you tightening, toning, and firming results that last! This has been my secret to unclogging my lymphatic system and making me feel better through my illnesses. When I found out about the power of the “wrap”, I started telling everyone how much better I felt. Step 2. Remove. Not only do you use the cleanse, but you remove any processed food as well. It will help you feel so much better in the long run!! Step 3. Reboot. This step is important because you have just reset your body!! Reboot your metabolism every day for increased calorie burn and more energy! Greens™ Berry and Ultimate ThermoFit™ work together to fuel your body with the nutrition it needs to REBOOT and fire up your metabolism. So I did include the links in the post to buy them separately, but why waste time doing that. The entire system is available to you and you get everything you need to reset your body for optimum health. If you choose to buy it separately, check out the links above. $37 savings when items are bought as a package! Lastly, you get my private support group to help you along the way where we give each other tips and help each other on our journey to health. 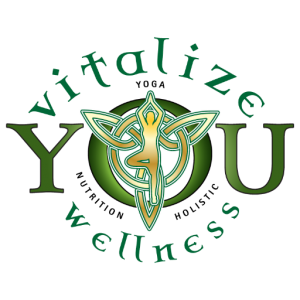 If you have ordered through my website, find me at Vitalize You Wellness on FB and PM me to get into the support group! P.S.S. If you are a 4 Weeks to Wellness user, this system also compliments what you are doing and you can request access to the group as well!! The products ARE Global! You just have to see what is available in your country by using the drop down list on my shop and picking your country.